Until last year, Holyhead ferry port was about as much of Wales as I’d ever seen. There’s not a whole lot to write home about there, so when the opportunity came up to visit Swansea Bay, I was intrigued. From a quick Instagram search, it was easy to see how picturesque the place looked. Cosy pubs, stunning beaches, scenic coastal walkways and delicious local food. In fact, some of the summer shots looked like they could’ve been taken on the coast of Portugal, not Swansea. So I took a short FlyBe flight to Cardiff and jumped in a hire car with trusty co-pilot Mr Beauty himself, to go check it out. The story highlights are still on my Instagram if you want a closer look. As we approached, the roads narrowed, the houses got older and towns more quaint, we’re talking full on fairytale-like. Sheep walked nonchalantly through the winding streets, unperturbed by oncoming traffic, the way off life slowing right down, practically coming to a stop. 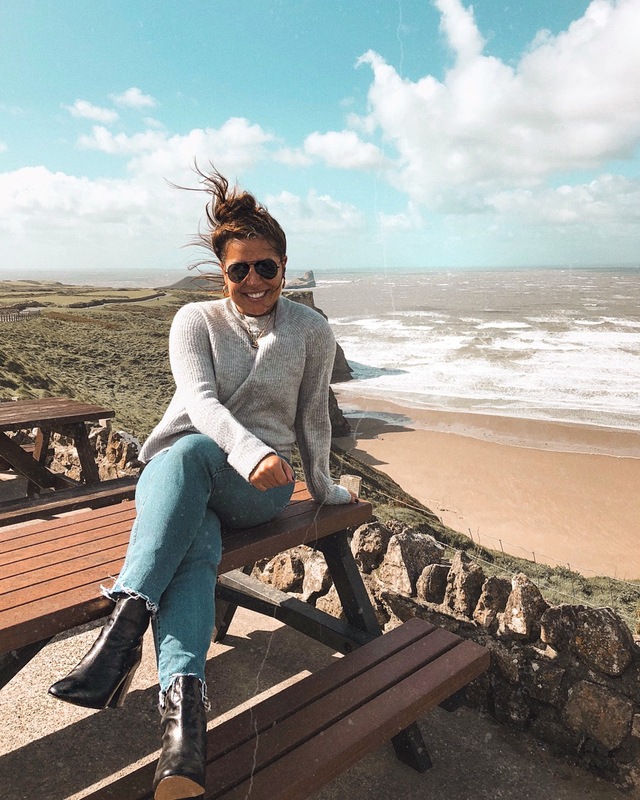 First call was Rhossili Bay, regularly voted as one of the top beaches in the UK on TripAdvisor, for a long walk on the sand and some fresh sea air before refuelling in the Worm’s Head Hotel. 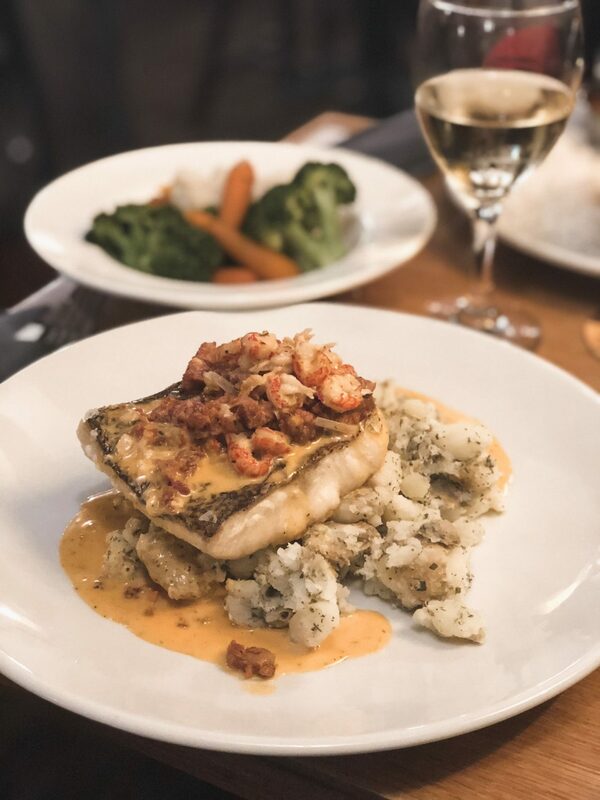 Choosing a window seat for the best views over the beach, we tucked into hearty pub grub and local cider. Use this spot as a base to go coasteering if the weather is in your favour. 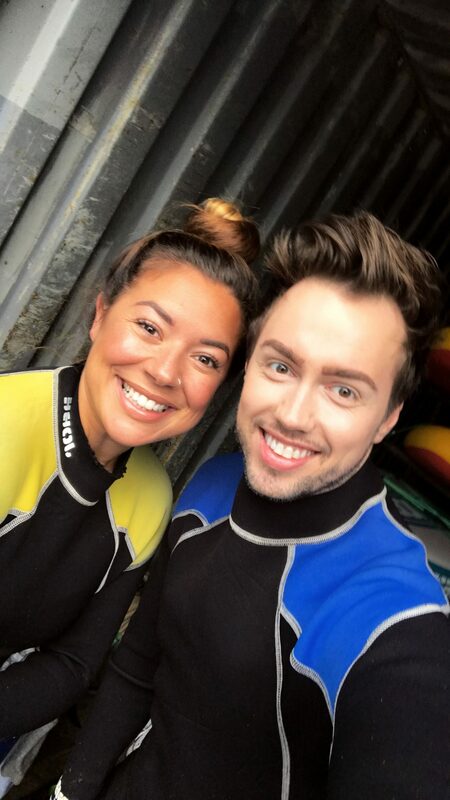 The water sport is a mix of sea swimming, rock climbing and cliff jumping, all while kitted out with wetsuits, life jackets and helmets for safety, and it looks ridiculously fun. Afterwards, we checked into the King’s Head, a 17th century inn in Gower. The Gower Peninsula was the first place in the UK to be designated an Area of Outstanding Natural Beauty and it’s not difficult to see why. There’s something about being tucked up warm and dry in an old, cosy pub while the rain and winds rage outside, settling in for comforting home-cooked food, which is exactly what we did for the evening. Welsh lamb and pies with leeks were on the specials board, but the hake with chorizo and crayfish was a massive hit for me. With the wind abating, we were able to get out on the water at Oxwich Bay for a spot of kayaking the next morning. Bring a pair of old trainers and wade into the water before climbing into your kayak and paddling out to sea. On a calm day, the silence and gentle lapping of the waves can be incredibly soothing, but Dan our instructor got the energy levels up again with a couple of games that brought out our competitive side. It continued to rain while we were in the water, but in a wet suit inches from the sea, it didn’t really matter, in fact it was quite atmospheric. If you’re up for the challenge, you could also try windsurfing or sailing here too. There’s nothing like proper fish and chips while you’re by the sea, especially after water sports, so we popped into the Oxwich Bay Hotel, salty hair and all, for some well earned grub after shaking off the sand. You’re never far from a scenic walk in Swansea Bay, check out Oxwich Point if you’ve still got some go in you or relax back at the hotel before heading out for a real ale in the evening. We chose the latter. The King Arthur Hotel is renowned for their traditional Welsh ales and they’re just a stone’s throw from the famous Arthur’s, er, stone too. On a clear day, enjoy the views across Gower from Cefn Bryn. Keen to see one of the more cosmopolitan villages along the coast, we drove to Mumbles the next day. The seaside town is currently restoring their Victorian pier, but you can still walk around visiting the cute boutiques and galleries or stop off for ice cream. We visited on the way back to Cardiff airport, so squeezed in one last meal at family run Verdi’s Italian cafe, right on the seafront. Pizzas are their speciality, but keep room for a build-your-own sundae or an affogato after lunch. Things will change drastically in Swansea Bay by the season, but I think it’s fair to say you’ll never be short of things to do, and if all else fails, the food and drink certainly won’t disappoint! This article first appeared in STELLAR Magazine. This post is not sponsored. I travelled as a guest of Visit Swansea Bay. All views are, as always, my own.